A fine portrait of a young boy with a mischievous smile. 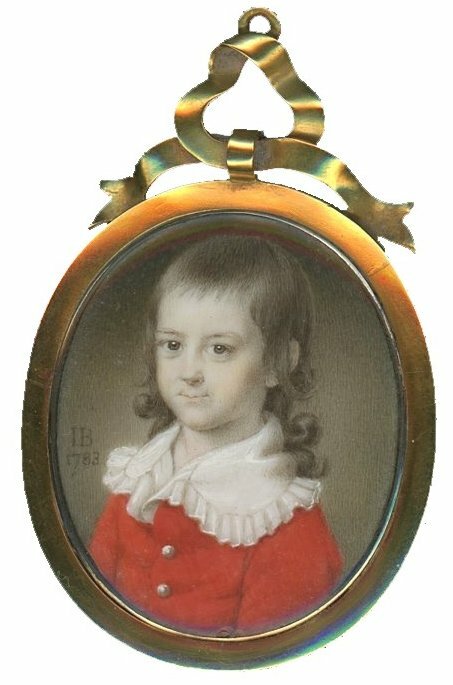 He has shoulder-length curls and is wearing a red coat with brass buttons over a white shirt with a wide frilled collar. Watercolour on ivory, signed and dated on the obverse – IB / 1783. 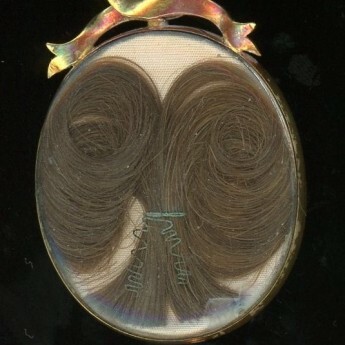 It is presented in the original frame with a ribbon surmount. 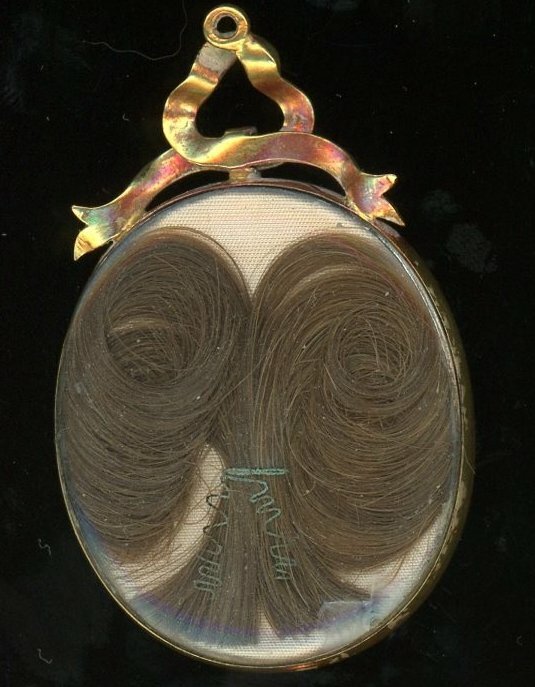 The frame is glazed on the reverse to reveal a fleur-de-lys styled lock of brown hair laid on cream silk. Fine condition with strong colouring. Scottish-born, John Bogle studied in Glasgow having enrolled at the Academy of Fine Arts that had been founded by his two older brothers. He subsequently worked as a miniaturist, first in Edinburgh and later in London, exhibiting at the Royal Academy between 1772 and 1794. He returned to his native Scotland with his wife in 1800 where he died three years later.